Dutch master of the cosmic arts, Nachtbraker, headlines our second party. Founder of Quartet Series, a record label which consistently pushes the boundaries of space and time, expect nothing less than a mind-bending voyage through house, funk, disco, and the great unknown. 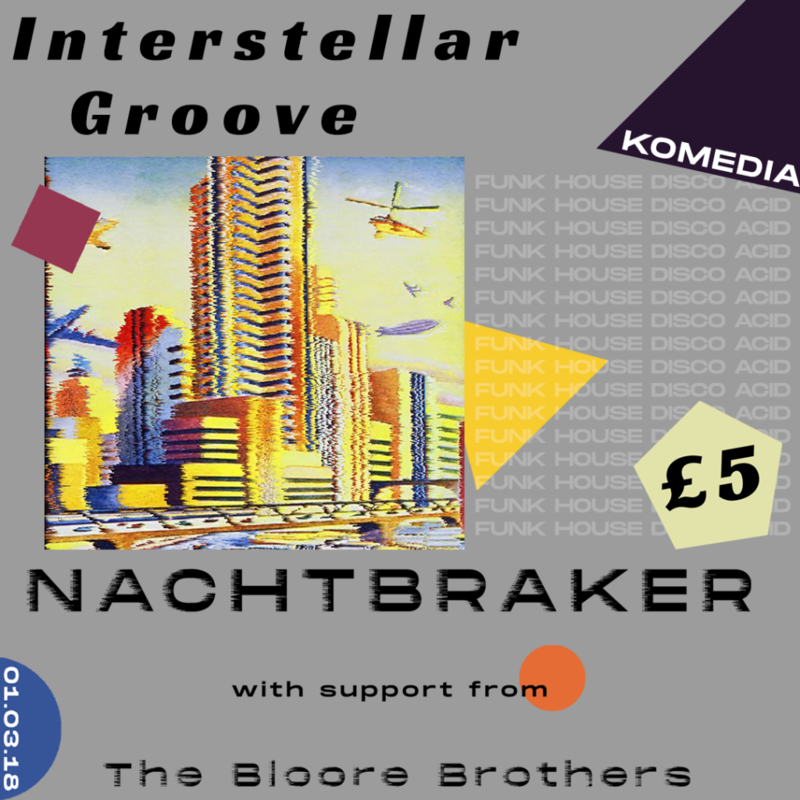 After establishing themselves in Brighton, The Bloore Brothers have been making a name for themselves across the galaxy with their irresistible collection of acid funk, disco heaters and rare jams. Join them as they explore the final frontier at Interstellar Groove 002.